They didn’t know that? Read Full Disclosure. Neutrons produced by hypothetical “piezonuclear” fission reactions have been proposed as causative for the formation of the image on the Shroud of Turin1. According to this hypothesis, compressing solids can provoke nucleus-splitting reactions without emitting γ-rays or producing nuclear waste. This involves an exponentially accelerated decay rate of a thorium isotope, according to results presented in 2. The decay rate of the isotope 228Th in a water solution, compared with its natural decay rate, is said to be increased by a factor of 104 when exposed to cavitation, i.e., sound waves at 20 kHz and 100W, as might be produced by a very high-magnitude earthquake. This claim has been disputed as not substantiated by the experimental evidence presented. The Shroud image is said to have been formed by a hypothetical flux of thermal neutrons directed into the Shroud, which in turn interacts with atmospheric nitrogen to generate both protons (which are absorbed by the linen cellulose, producing a superficial coloration) and additional isotopes of 14C, captured by cellulose of the linen cloth, as proposed by Rinaudo4, thus skewing the radiocarbon dating of 1988. However, Rinaudo posited the body as the source of the neutron-proton flux, producing the very superficial image on the inside of the cloth. On the contrary, in the piezonuclear ssion hypothesis, the source of neutrons are rocks of the walls of the tomb. Therefore the flux of neutrons (and of secondary protons) is directed to the outside surface of the linen cloth. As a consequence, the image would be on the outside of the cloth, in contradiction with the detailed results of STuRP studies. The unique earthquakes in the Gospel of Matthew (27:51, 28:2), absent from the other Gospels, are subsumed into the piezonuclear hypothesis. But they are completely unattested by any known independent historical source. References to earthquakes at the time of the Crucifixion and/or the Resurrection, such as attributed to the unknown historian Thallos, The Narrative of Joseph of Arimathea and Dante’s Divine Comedycan scarcely be considered to support historical authenticity, as their source is none other than the Gospel of Matthew. Moreover, image formation via the neutron flux-proton interaction hypothesis is said to have required an earthquake of 8 – 9 ML magnitude1 “which “should have razed Jerusalem to the ground”5, and could not have gone unnoticed by contemporary or later historians – i.e., Pliny, Josephus, Philo, Tacitus, not to mention the letters of Paul or Acts, which portrays the apostles openly teaching in the Temple (3:1 ff.) following the death of Jesus. The premise that the earthquakes of Matthew may somehow have been involved in formation of the Shroud body image may be untenable, as neither occurred, according to the Evangelist, when the shroud could have been in contact with the body. Odd. Why wasn’t the Fulbright and Di Lazzaro paper published? All the other St. Louis papers were published at shroud.com. Sadly, Diana Fulbright is extremely ill and has been unable to get us the paper to include on the page. Perhaps Paolo can send it to us? “More likely, it has something to do with the St. Louis Conference paper, Earthquake-Induced Piezonuclear Reactions and the Image on the Shroud of Turin: Critical Remarks by Diana Fulbright and Paolo Di Lazzaro.” I doubt if the St Louis conference itself was as important as the several detailed papers (albeit referenced by di Lazzaro) detailing attempts to replicate Carpinteri’s results, which failed to do so. Perhaps I have a linguistic problem. I think that there is a gap to be filled with the most appropriate studies. (with emission of 4 neutrons) in these piezonuclear reactions [involving the fission of iron]. >Piezonuclear reactions, which occur in inert and non-radioactive elements, are induced by high pressure and, in particular, by brittle fracture phenomena in solids under compression. These low-energy reactions generally take place in nuclei with an atomic weight that is lower or equal to that of iron (Fe). The experimental evidence, obtained from repeatable measurements of neutron emissions [Strain 45, 2009, 332; Strain (in press); Phys. Lett. A. 373, 2009, 4158], can be also recognised considering the anomalous chemical balances of the major events that have affected the Earth’s crust, oceans and atmosphere, over the last 4 billion years. … etc. … …. etc. …. .
as often I wrote in this blog. >The Istituto Nazionale di Ricerca Metrologica (INRIM) is a public body under the jurisdiction of the Ministry of Education, Universities and Research. INRIM is devoted to the study of the science of measurements and to research into materials; furthermore it works on developing innovative technologies and devices. >… …Do you know Structural Mechanics ? that is an interesting way to use. and the (presumed) contaminated areas. >The AFM and the Raman analyses can show the truth. “Indeed Carpinteri does not seem to have failed when he measured the neutron radiation.” On the contrary, Piero; Carpinteri’s experiment, his data and his conclusions have been examined in detail and found hopelessly wanting. His neutron radiation has been discredited. 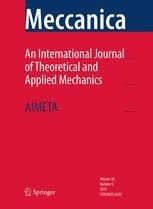 You might try the following for evidence: “http://www.sciencedirect.com/science/article/pii/S0375960110009515” and there are several similar papers. EDS, which, by comparing a statistically significant number of spots lying on the outer surface or the fracture faces of the granite specimen, and aiming directly on the only two iron ores present – Phengite and Biotite – was able to ascertain that iron, on average, was locally reduced by 25% and was replaced with atoms of aluminium (atomic number =13, half that of iron), silicon (atomic number =14) and magnesium (atomic number =12). Thus, the split was symmetrical in the case of aluminium, asymmetrical in the other instances. If these reactions can take place in a laboratory, where pressure and temperature conditions are much lower and, especially, the masses at play are much smaller than those found in the deep layers of the earth’s crust, they are bound to take place on a much larger scale within the latter, triggered by fracturing and crushing phenomena of seismic and tectonic origin. On the other hand, neutron fluxes up to a thousand times the natural background level may be detected before and during earthquakes, including medium magnitude ones. … … etc. … … etc. If someone tells me that there are “chemical proofs” that confirm the piezonuclear transformation of biotite and phengite, then I can believe what he says. These are the terms of the problem, IMO. >In ‘Geomechanical and Geochemical Evidence of Piezonuclear Fission Reactions in the Earth’s Crust’ [Carpinteri and Manuello, Strain (2011) 47(2), 267], the authors claim that the composition of the Earth’s crust and of its atmosphere can be explained by hypothetical piezonuclear reactions. We argue that these claims are contrary to the known experimental evidence of the energy balance of the nuclear reactions involved, and we report a detailed criticism of the claims of the paper. So … Where is the truth? And see also the words by Eng. Gonella (during the meeting of Villa Gualino, year 2000). However I believe that Prof. Carpinteri could (maybe) help out (… in further studies on “mechanical dating”. See my previous remarks on AFM bending tests for measurement of Young’s modulus, the “gopic hand test”, etc. …) for his great experience in Structural Mechanics calculations (as a professor of Building Science). I’m not how all that ends up, Piero, except that from Carpinteri’s first experiments in 2009 until his latest submission to Meccanica in January 2014, his work has been challenged sufficiently to doubt whether any of it should have been included in a peer-reviewed scientific journal. An article at “http://retractionwatch.com/2015/04/16/controversial-italian-scientist-loses-11-papers-from-journal-he-used-to-edit/” says that “In 2012, more than 1,000 scientists signed a petition asking the Italian National Institute of Metrological Research (or INRIM, of which Carpinteri was director at the time) not to fund piezonuclear fission.” This does not suggest universal confidence in Carpinteri’s ideas. It is interesting to revisit “https://shroudstory.com/2014/02/12/breaking-news-another-day-another-solution-to-the-image-and-the-carbon-dating/” to see what we all thought of Carpinteri three years ago. that I have indicated (more shortly written). in this particular way as explanation for the mysterious Image. inspection on exposed SSNTD” model with Comsol Multiphysics. See also the useful “personnel neutron dosimetry” in nuclear plants. >The advantages and limitations of different etching processes of CR-39 detectors for personnel neutron dosimetry are analysed. The chemical etching can be considered the converse of the electrochemical etching, since the former provides very poor response to low energy neutrons, while the latter greatly simplifies the registration of these neutrons. A foil of CR-39 etched electrochemically results in a simple and sensitive neutron dosimeter with a response proportional to the dose over the entire energy range of interest. but I have never seen the use of SSNTD in the inherent experiments. >In the present paper, Energy Dispersive X-ray Spectroscopy (EDS) was performed on different samples of external or fracture surfaces coming from specimens used in piezonuclear tests [1,2]. For each sample, different measurements of the same crystalline phases (phengite and biotite) were performed in order to get averaged information of the chemical composition and to detect possible piezonuclear transmutations from iron to lighter elements. The results of EDS analyses show that, in the fracture surface samples, a considerable reduction in the iron content (~25%) seems to be counterbalanced by an increase in Al, Si, and Mg concentrations. What happened? Another question similar to the “C14 1988”? Were the results of EDS analyses a wrong approach? Were the EDS analyses wrong? These things seem to be incredible. Really Carpinteri results were not replicated? I only refer to the strange neutron emissions. in fractoemission phenomena is suggested. Unfortunately I have not read the entire article (only the abstract). that “in itself” are “meaningless” (IMO)]. Structural Mechanics, in order to properly discuss the AFM bending tests! >it is shown that the chemical composition data published by Carpinteri et al. in the article “Compositional and Microchemical Evidence of Piezonuclear Fission Reactions in Rock Specimens Subjected to Compression Tests” [Strain 47 (Suppl. 2), 282 (2011)] cannot be the result of independent measurements as claimed by the authors. >Therefore, no conclusion can be drawn from them about compositional modifications induced in the stone by hypothetical piezonuclear reactions taking place during catastrophic failure of the material at fracture. The comments concerned the phengite data only. Nothing was said about the biotite data. In the case of the phengite phase, EDS spectra were collected at 30 sites on polished thin sections of the uncracked external surface, and at 30 sites on small portions of the fracture surface. > the work done by Carpinteri et al. cannot be the result of independent measurements. catastrophic failure of the material at fracture. In June 2014 we published several articles relating to the Carpinteri paper. Here’s the link to our article: http://www.shroud.com/late14.htm#quake. It includes further links to papers by archaeologist Jeff Williams and Shroud researcher John C. Iannone. Williams’ paper was originally published in 2011 in International Geology Review and can be found on Academia.edu at this link: https://www.academia.edu/6108262/Quake_Article. Iannone’s paper is at: http://www.shroud.com/pdfs/iannoneearthquake.pdf. At least meccanica has retracted the articles. Carpinteri A, Lacidogna G, Manuello A, Borla O. (Giovanna De Liso) for her claims about UFOs, abductions, etc. Was (an is) our humanity driven by extraterrestrial beings? them there were not deceiving. However I think it would be better not come to confusion between extraterrestrials and angels (= pure spirits) … these are special topics. the authority conquered in a good career? of CUN (a Italian National “UFO Center”). >Potassium layers and basal oxygen layers in muscovite and biotite cleavage planes were clearly discerned by an atomic force microscope (AFM) with a novel procedure for image processing. Unit cell sizes of muscovite and biotite determined by this procedure were in good accordance with those determined by X-ray structural analysis. Expected differences in the structures of muscovite and biotite, that is, the atomic arrangement of oxygen in the tetrahedral sheet, were clearly demonstrated from the processed images. in order to better investigate the negative problems already seen with EDS. I think Charles should consider the following fact: Prof. P. L.
on a specimen holder called a specimen stub. analysis of minerals containing disordered structures? Then I have some doubt about the XRD analyses on fractured mineral materials. the fact of having to work with this system on fractured mineral. Besides the primary purpose of the analysis would be to identify a change in the atomic composition (after the alleged piezonuclear fission) … and also this way does not seem to offer a great confidence. Am I wrong another time? Is it possible to do these analyses ?